Mutant Creatures are improved versions of standard mobs - more tough and dangerous. Some of them just have more health and changed look, but a few will get better abilities. 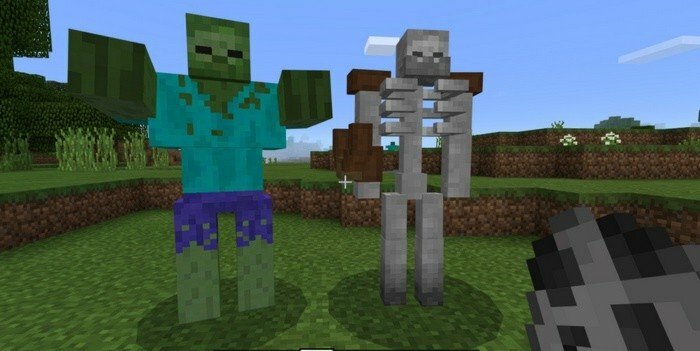 For example, a skeleton will be able to fire 5 arrows at once and creeper will cause much more explosion damage. You will easily recognize mutant among the regular ones, their look is terrifying. 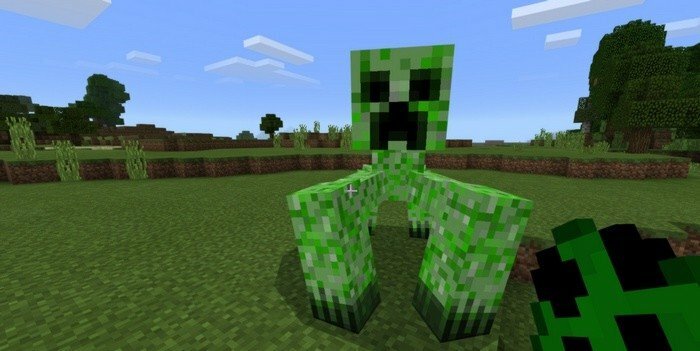 Install Mutant Creatures mod for Minecraft PE 1.5.3 if you want to add some difficulties to your survival weekdays. 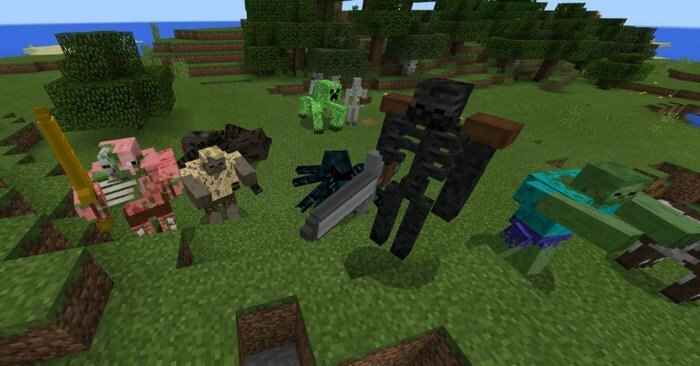 Iron golems will fight on your side against all these mutants and they can defeat almost any of it - maybe except Wither Boss. 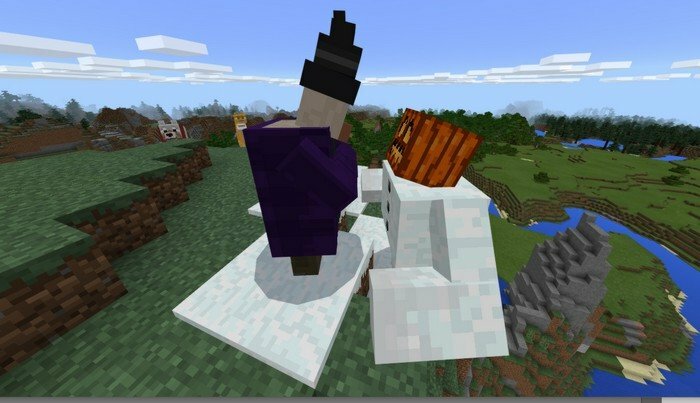 To summon them you will need to build totems, just like usually: 4 iron blocks and 1 pumpkin. Mutants will make your life much harder, any mob is a big threat and you can meet any out of 11 changed creatures. To sweeten the pill, as a reward you will get a decent amount of loot from the killed mutants. An updated version of the mod features even bigger amount of mutant creatures, among them are Cat (Ocelot originally) and Wolf, either of them can be tamed and used as a mount. To tame a cat feed him some raw fish, a wolf will prefer a bone, when you've tamed one, mount on it and hold a stick to ride. Reason: Updated models, 1.5.3 support.